Langley Primary School is situated in Solihull in the West Midlands. 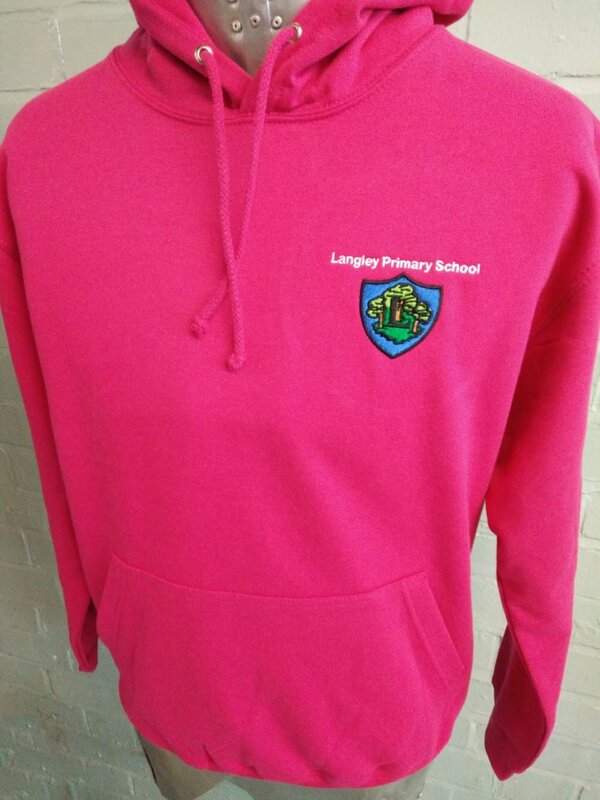 One type of leavers hoodies that we created for Langley Primary School were these bright pink leavers hoodies, which really stand out! 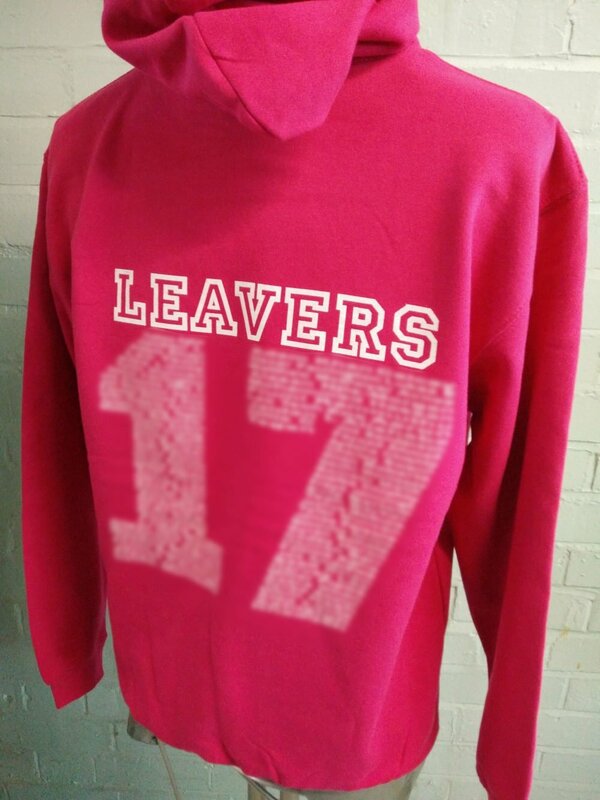 Featuring the school’s logo, embroidered onto the front, the hoodie also has the names of the class of 2017’s leavers printed onto the back in the shape of the number 17. 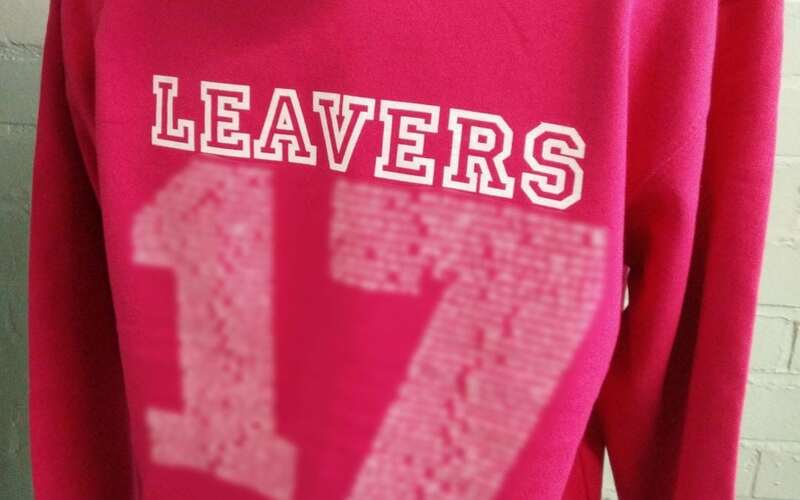 Leavers hoodies don’t all have to be the same style and design for the whole year group. Giving leavers a chance to choose their favourite colour, or the colour that reminds them most of the school or college that they are leaving, may make them want to wear the hoodie for much longer. To review the styles, colours and different types of personalisation available, take a look at our product and design options pages. For any further advice, feel free to call us on 01858 461 686.